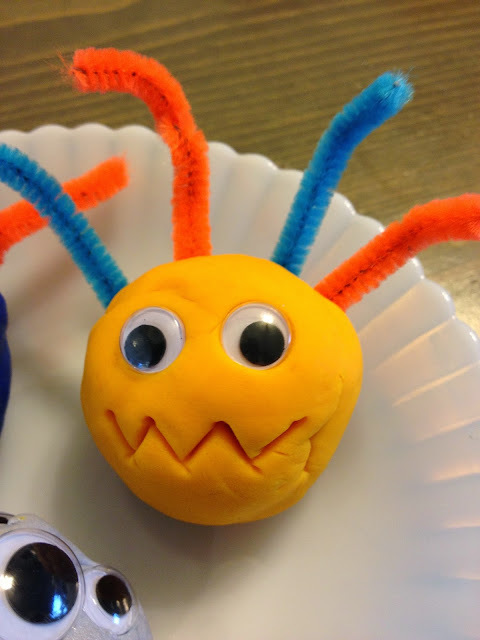 These silly play dough faces are a fun activity for kids. 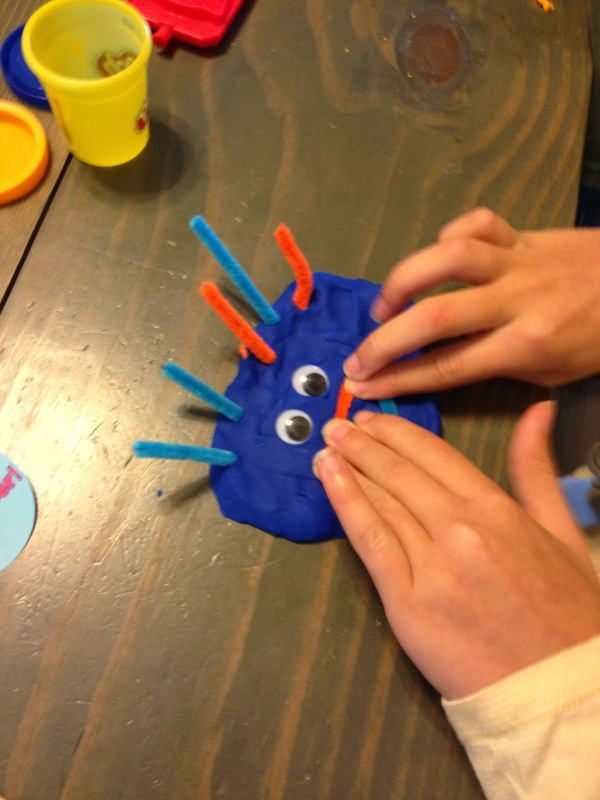 Push the playdough flat or smush it into a ball. 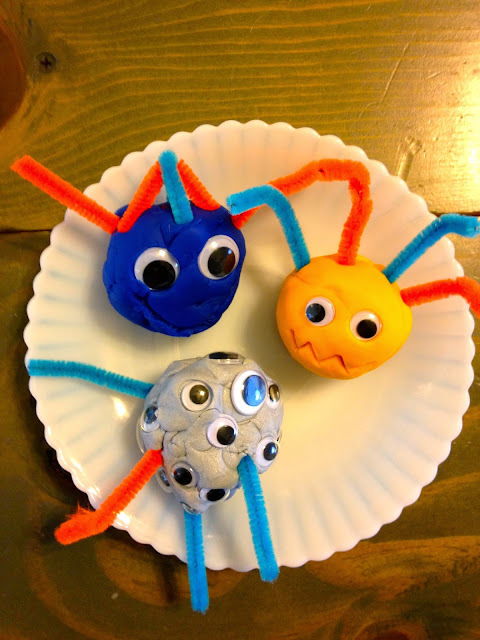 Add chenille pipe cleaners for hair, googlies for the eyes, and carve out a mouth using a toothpick or form one with pipe cleaners.